Mats Hummels' first six months back at boyhood club FC Bayern München could not have gone much better. Sign Mats Hummels to your Official Fantasy Bundesliga team during the unlimited transfer window here! The former Borussia Dortmund captain was an ever-present at the heart of the Bayern defence during the first half of the season, and is now thinking about how to turn a Hinrunde of great promise into silverware. 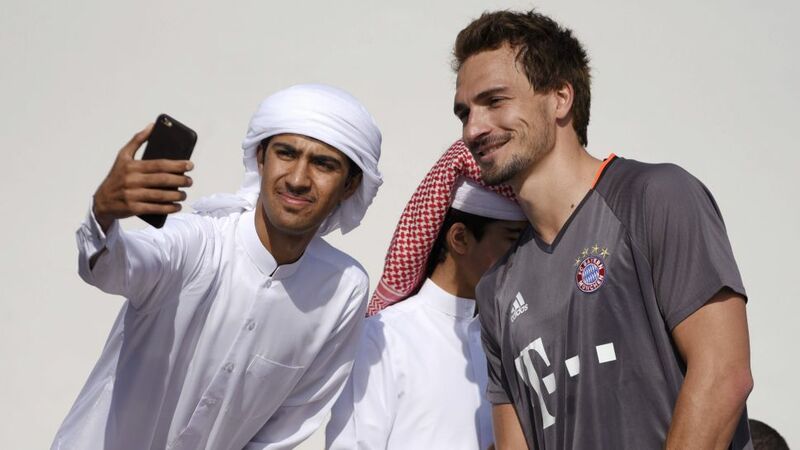 "I'm really happy," Hummels said after a welcome morning off on the penultimate day of the Bundesliga leaders' winter training camp in Doha, Qatar. "I found my feet pretty quickly and I've not had any injury problems. Not many teams will be able to stop us, if we do what is expected of us." Does Mats Hummels deserve a place in the Team of the Hinrunde? Vote now! With Hummels marshalling the back four, Bayern are once again in contention on all three fronts at the halfway stage of the campaign. The Bavarians are three points clear of RB Leipzig at the top of the Bundesliga standings and are also through to the DFB Cup third round and the last 16 of the UEFA Champions League. "Being second in the table, Leipzig are in the running, but you can't rule out Dortmund, given their quality," Hummels said of the current status quo in the Bundesliga. "Since 2012, I've only won the Supercup, so obviously [winning] a Bundesliga and DFB Cup double is a very attractive proposition, but I really want to win the Champions League." Think you know the Bundesliga? Prove it! Take part in the Bundesliga Fan Challenge 2017!